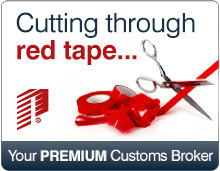 Canadian Customs Forms | Pacific Customs Brokers Inc. This Memorandum explains the customs invoice requirements for commercial goods imported into Canada. North American Free Trade Agreement form. Required to obtain specific NAFTA duty rates for products moving into Canada. Low Value (less than $2500 Canadian) North American Free Trade Agreement form. Required to obtain specific NAFTA duty rates for products moving into Canada. 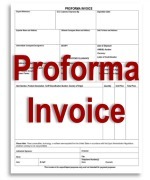 Standard Pro Forma Invoice that can be used for less than $2500 Canadian. For food imported with an insignificant quantity of meat. This form must be completed on the Canadian importer's letterhead. Carrier / driver must fill out this form and send with all documentation, including bill of lading, immediately upon pick up or at least 3 hours prior to arrival at the border. Canada Customs requires that certain information be provided; this form is used to provide that information to customs for all Canada-bound commercial goods. 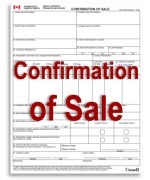 The form may be prepared by the supplier, importer or customs broker. 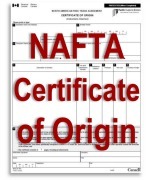 Strictly for eligible goods from Canada, the U.S. and/or Mexico and valued over $2,500 CAD, this Certificate of Origin is used to request a lower duty rate for eligible commercial goods entering Canada under the North American Free Trade Agreement. If eligible, it's important to note, this program is not mandatory for your importations; and assistance is highly recommended. 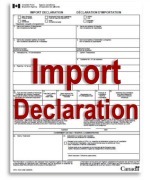 For all fresh produce shipments; this form replaces the Canada Customs Invoice. Required by the Canadian Food Inspection Agency (CFIA) as your evidence that a firm purchase agreement has been made. It is reviewed by Canada Customs at the point of entry and relayed to the CFIA. For food products entering Canada, the Canadian Food Inspection Agency requires you to provide product and packaging information related to the shipment. 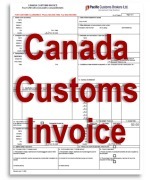 A proforma invoice may be used when the commercial invoice or Canada Customs Invoice is not available; for instance in the case of a commercial shipment when no monetary transaction has taken place between the importer and exporter.